We'll help keep your ride cool. Make an appointment for car air conditioner repair or an A/C recharge in Schofield Barracks at Firestone Complete Auto Care near you! 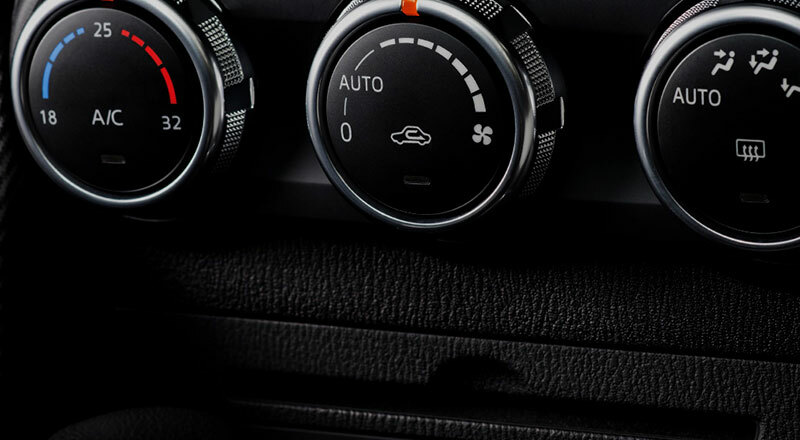 When your car's air conditioner is anything less than cold, driving can get uncomfortable…quick. Head to your local Firestone Complete Auto Care for an A/C performance test and air conditioner repair in Schofield Barracks at the first trace of trouble. Whether your car A/C is blowing hot air or there's a strange scent coming from the vents, you can be sure our technicians will help make things right, all the way from inspection to repair. We service over half a million auto air conditioners every year! Does your car air conditioning have you sweating? Common A/C issues include yucky air conditioner smells, warm air blowing from the vents, a lack of pressure when air blows, and no air blowing at all. Before your temperature starts rising, head to Firestone Complete Auto Care in Schofield Barracks. These signs may point towards a refrigerant leak, a problem that could further damage your car and the environment. We'll perform an A/C inspection and if needed, the right repair to keep your A/C cool and the environment protected. Get that cold blast back! Make an appointment for a car A/C recharge or air conditioning service in Schofield Barracks and one of our trained technicians will start off with an inspection of your car's A/C system. We'll figure out what needs to be fixed and talk to you before we begin the repairs. Our A/C services are warrantied for a period of twelve (12) months or 12,000 miles, whichever comes first, as well as the Firestone Triple Promise. This promise means your air conditioning will be Fixed Right, Priced Right and Done Right on Time. Easily reserve an appointment at your nearest Firestone Complete Auto Care for fast car A/C repair in Schofield Barracks and keep your cool with the coldest air conditioning! From drivetrain services to engine tune-ups to engine repair, turn to your local Firestone Complete Auto Care for your automotive service needs. We're your local car care center, tire store, and automotive shop combined into one. Our automotive technicians work hard to help ensure that your vehicle runs the way it should. When you need work done on your car or truck, we will strive to make your visit satisfying. Experience the difference and book an appointment online for auto service in Schofield Barracks, Hawaii today.